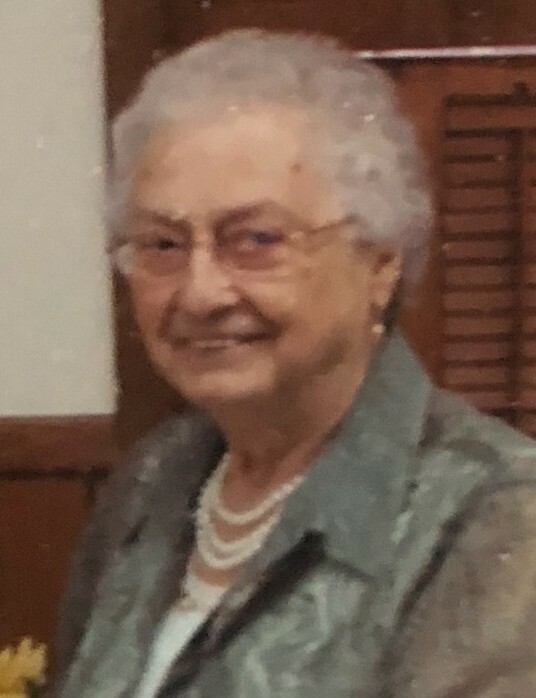 Vernie Alice Roten Blevins age 94 of Lansing died on Saturday, August 25, 2018 at Forest Ridge Assisted Living Center. She was born in Ashe County on August 5, 1924 to, Webb and Lula Sapp Roten. Including her parents she was preceded in death by, her husband, Arlie Blevins, two brothers, Vance Roten, Don Roten and sister, Irene Heck. She was a member of Mount Jefferson Presbyterian Church. Mrs. Blevins is survived by: one son, J. E. Blevins of Lansing, one stepdaughter, Beryl Zimmer of Greenville, TN, one sister, Ruby Absher of West Jefferson, one half sister, Shirley Pierce of Reidsville, NC, one half brother, Russell Roten of Jefferson, one grandchild, two step-grandchildren, seven step great-grandchildren, twelve step great-great grandchildren, several nieces and nephews also survive. Flowers will be appreciated or memorials may be made to: Scott-Blevins Cemetery, c/o Roger Church, 453 Edwin Blevins Road, Lansing, NC 28643.